Greetings, travelers of space and time, to the Dune Cast! Know then that this is your home for Dune in podcasting, and will be a series examining all things from the world of Frank Herbert's legendary Dune universe, including the classic books, movies, miniseries, games, documentaries, and ongoing novels by Brian Herbert and Kevin J Anderson. Maybe we will cover news, too, should it arise! Whether this is your first foray into the Dune universe or you are returning like a Duncan Idaho ghola, join us for a show beyond your dream and a podcast beyond your imagination. 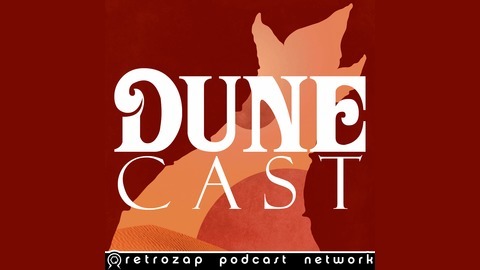 The Dune Cast is hosted by avid science fiction fans and podcasters Joe Tavano and Rod Johnson, and is part of the RetroZap Podcast Network! Get hyped! There is a new Dune film being made, and Hollywood's best and brightest are lining up to bring it to life! Join us for the first update, discussing the cast, crew, release date, filming locations, and more. 11202020: It's not a future year, and it's not a code—it's the date of the new adaptation of Frank Herbert's Dune (Part One)! Needless to say, Joe and Rod are very excited about this production, and this is the first download of many to come as we track the news and production as it unfolds! Plus, we also discuss the concept of "fannibalism," and why we all must not fear. If it is by will alone you set your mind in motion, then you've found the right place for all things Dune! This is the Dune Cast. 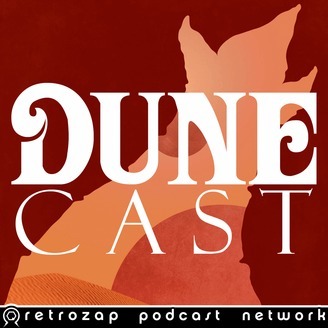 Dune Cast Special: The Podcast Has Awakened!